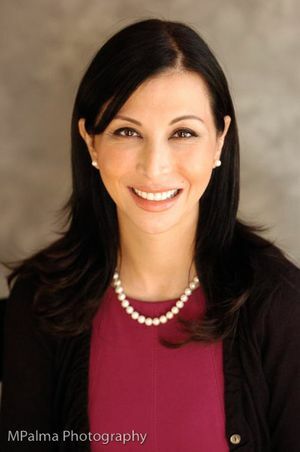 Shelia Barbarino, MD, FAAO, FAACS, FACS. Dr. Barbarino is a board-certified surgeon who is fellowship trained in oculo-facial plastics/cosmetic plastic surgery, specializing in full body cosmetic surgery and a full face specialist. Dr. Barbarino is a fellow of the American Academy of Cosmetic Surgery, a fellow of the American College of Surgeons, sits on the executive board of the Cosmetic Surgery Foundation and a member of the American Academy of Facial Plastic and Reconstructive Surgery. Dr. Barbarino brings her expertise to the practice of cosmetic, corrective and reconstructive surgery of the eyelids, face and body. She applies her ophthalmic plastic surgical skills to rejuvenate the eyelid and forehead complex and to repair a myriad of eye problems including excessive upper eyelid skin, tear trough deformities, tired appearing lower eyes and face, eye socket defects and skin cancer to restore both the natural shape and health to the eye. As a female surgeon, she sees her patients from a woman’s perspective. Dr. Barbarino understands how particular we are about perceived imperfections–whether we think we have cellulite, jowls, turkey necks or excess skin on our eyelids. She empathizes with her patients’ desire to look well rested, youthful and fit and to achieve what cannot be accomplished at the gym or through a good, healthy lifestyle. Dr. Barbarino speaks and teaches other health care professionals world wide about new cutting edge technology and ground breaking techniques. She has patients who travel from near and far just to see Dr. Barbarino for her expert opinion. Dr. Barbarino is a world-renowned speaker, teacher, and lecturer at various medical symposiums, medical conferences, and is a sought -after key opinion leader who has spoken all over the World and sits on multiple advisory boards. Dr. Barbarino comes with expert experience in comprehensive treatments for all skin types, including darker skin tones. In addition, Dr. Barbarino’s extensive expertise includes the artistic use of non-surgical modalities such as Botox®, Sculptra®, Juvederm®, Voluma®, Radiesse® and Restylane® to help patients achieve pleasing, natural looking facial rejuvenation. Her goal as a woman and as a surgeon is to help a patient become more comfortable and confident with their body and in particular with their face. She literally helps her patients put their best face forward. Patients want to look the best they can for their age—not artificial and fake.